Russia's defense industry is slowly but surely pulling itself out of its post-Soviet doldrums. Richard Weitz outlines the domestic and foreign policy factors that have contributed to its resurgence; and how the Ukraine crisis and Western sanctions might yet derail the progress that has been made. The traumatic disintegration of the formerly integrated Soviet military-industrial complex (voenno-promyshlennyy kompleks, or VPK) , coupled with the sharp and sustained slowdown in government defense spending, left Russia’s post-Soviet defense companies with excess human and manufacturing capacities. Whereas the Soviet Union produced hundreds of modern tanks and planes, as well as dozens of new warships every few years, the newly-founded Russian Federation struggled to manufacture a handful of new systems. For example, while production of the next-generation strategic submarine Yury Dolgoruki commenced in 1996, the boat did not enter into service until the end of the following decade. It also took 19 years to complete the Yaroslav Mudry frigate, which finally entered service in June 2009. The Sukhoi design bureau labored for a decade to develop a fifth-generation fighter that has yet to enter into service with the Russian Air Force. Meanwhile, even Soviet-era platforms proved difficult to maintain as so many weapons designers and manufacturers went bankrupt or tried to enter more lucrative civilian markets. Even today, the Russian armed forces show the signs of the decade-long suspension of almost all new military procurements. However, the surge in Russian energy export revenues in the mid-2000s, and the commitment of President Vladimir Putin to rebuild Russia’s military power, which was reinforced by its mediocre performance in the 2008 war with Georgia, is now showing results. For instance, the Ministry of Defense has improved soldiers’ personal gear and organized many more exercises and training opportunities for the ground forces. The Russian Army is also scheduled to receive some 700 armored vehicles (including a new model T-14 Armata Tank) and 1,550 other vehicles this year under the current 201-2020 State Armaments Program (SAP) Throughout the SAP, the ground forces are supposed to receive 2,300 main battle tanks, 2,000 self-propelled artillery systems, 30,000 assorted military vehicles, and 10 brigade sets of tactical ballistic missiles. Many of the new fighting vehicles will be based on the Armata chassis introduced later this year. The SAP 2011-2020 envisaged the delivery of 600 aircraft and 900 helicopters by the end of this decade. According to Defense Minister Sergei Shoigu, 126 new military aircraft and 88 new military helicopters will enter the inventory of the Air Force and Naval Aviation in 2015. In addition, the Russian Air Force plans to upgrade its transport planes, refueling aircraft, unmanned aerial vehicles (UAV), and long-range strategic bombers (eventually replacing its three Soviet-era bombers with a single new plane, designated the PAK-DA) in coming years. It is also set to acquire more Su-35 fighter and Su-34 strike aircraft, and has plans to begin operating its first 5th-generation PAK-FA T-50 fighters in a few years. Moscow intends to market the T-50 globally as a cheaper alternative to the US F-35 Joint Strike Fighter. In addition to India, which is co-producing a variant of the plane, the T-50 could prove attractive to Egypt, Iran, Vietnam, and other non-NATO countries that want to have a top-line warplane but cannot afford, or cannot receive Washington’s approval, to buy the F-35. When the SAP was enacted in 2010, its 20.7 trillion ruble budget (19 billion for the Ministry of Defense) amounted to $600 billion, though the recent ruble depreciation has reduced this to about $340 billion (however, making such comparisons is tricky given the higher costs of defense inputs in the United States). And while the war in Ukraine has highlighted the Russian military’s hybrid warfare skills, the conflict has also had several adverse effects on Russia’s defense industry. For instance, Kiev has now frozen all defense-industrial cooperation with Moscow due to its annexation of the Crimean Peninsula and support for the insurgency in eastern Ukraine. However, despite decades of close collaboration between Russian and Ukrainian defense enterprises, the direct impact of the cutoff will likely be greater on Ukrainian firms. Where Ukraine’s defense sector once produced items primarily for overseas markets, it must now make products that are suitable for the country’s armed forces and its struggle against the rebels in the east. The suspension of Western defense sales to Russia is likely to have a greater impact on its military-industrial complex. EU and US sanctions currently restrict commercial transactions with Russian corporations that have significant defense sales. As part of its post-2008 military reforms, Russia began purchasing high-tech Western military goods and technologies that its defense industry could not produce on its own. In addition to filling gaps in Russia’s military power, Moscow saw these imports as a means, through the transfer of Western technologies and manufacturing practices, of making Russia’s defense industry more competitive in the global defense marketplace. Prominent purchases now on hold include the Russian Navy’s planned acquisition of two Mistral-class amphibious warships from France for more than $1.5 billion and some advanced combat simulation and optics systems from France and Germany. Russia may be able to find Chinese substitutes for some defense electronics previously imported from the West, but China’s defense industry still lags behind Russia and the West in many areas. The government will soon announce its 5-year update to the State Armaments Program. 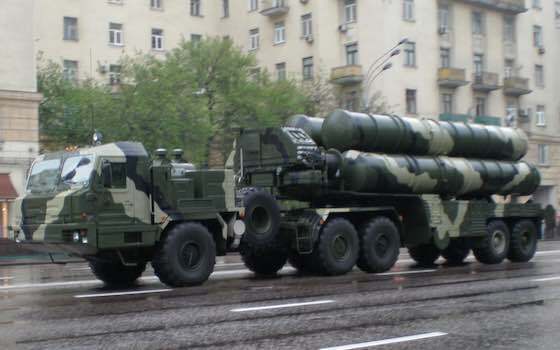 Most likely, the updated SAP will attempt to muddle through despite the fiscal challenges by deferring some procurement, lowering salary and benefit increases (which may not hurt recruitment or retention given the deteriorating civilian employment situation), and relaxing some requirements that are difficult to measure in any case (such as raising the proportion of ‘modern’ military equipment in the Russian inventory to 70% by 2020). These practices are not unusual, and the Pentagon has been applying them with gusto in recent years as it copes with Washington’s sequester process. Unlike the United States, which has assumed global security responsibilities, the Russian military can avoid expensive foreign military operations if its political leaders are sufficiently wise to eschew them. Article: "Russia's Defense Industry: Breakthrough or Breakdown? is republished with permission of International Relations and Security Network (ISN)." "Russia's Defense Industry: Breakthrough or Breakdown?"